When the news broke out in Ponnani that V. Sreenivasan, an inspector in the Central Industrial Security Force, was going to marry the illustrious athlete P.T. Usha, the people in the town did not know what to make of it. 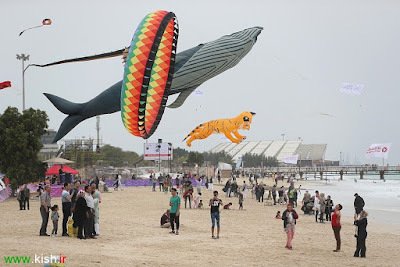 When Sreenivasan went to the fish market or the provision store on his cycle or by foot, the shop-keepers asked him whether he would soon be coming by car. At that time, Usha owned a Standard 2000 car, which was one of the most expensive cars. Their horoscopes matched and when they met there was a mutual liking. 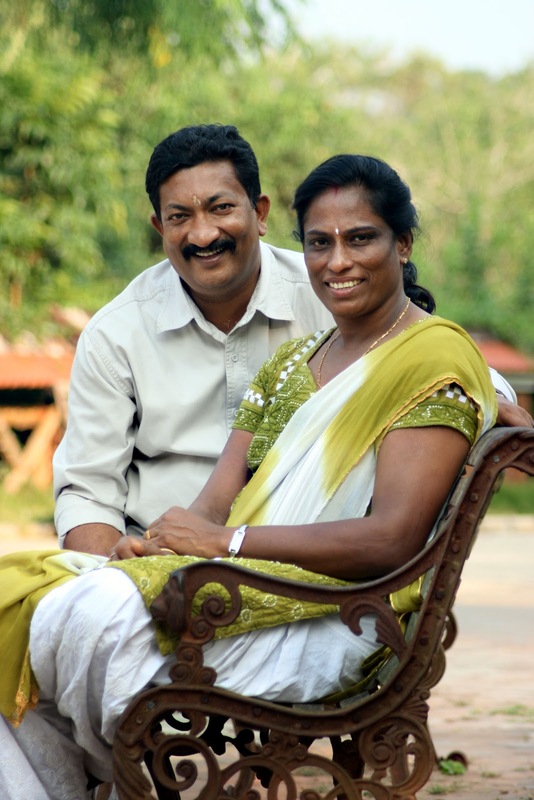 The couple got married at the Arzhakodi Devi Mandiram in Kozhikode on April 25, 1991. And today, the duo leads a routine life in Payolli. 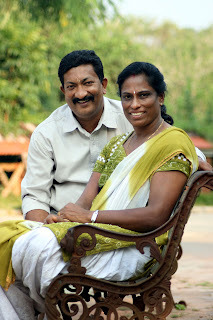 At 5.45 a.m., Sreenivasan and Usha set out for the Usha School of Athletics at Kinaloor, Balussery, which is 36 kms away. Usha supervises the training of 17 girls, ranging in age, from 12 to 23, while Sreenivasan is busy helping her in various ways.